We are experienced in a wide range of healthcare construction, including ambulatory care projects and OSHPD projects in acute care settings. Over the years, our team has successfully completed projects in adult and pediatric medical centers, clinical laboratories, nursing/rehabilitation centers as well as out-patient care centers and MOBS. Our staff has built and managed complex laboratory projects, acute care bed floors, infusion centers and diagnostic and treatment rooms, including new and remodeled Radiology/Fluoroscopy, C.T. Scan, Cardiac Cath Labs, and MRI suites. We also provide infrastructure services ranging from roof and mechanical unit replacement and reheat coil replacement, to emergency flood damage repair. We want to take on difficult projects – small or large – where we can prove our value to your facility. Seton Medical Center came to us with a plan to replace their cardiac catheterization lab system. Thanks to a diligent pre-project analysis with the Stinnett Group and the structural engineer, we saved our client 40% of the projected budget and reduced the anticipated downtime of the Cath lab by four and a half months. The team’s analysis showed that while the new Cath lab system was more technologically advanced than the old system, it did not require the costly structural work scoped in Seton's original plans. The new system was lighter and therefore, existing floor anchors could be adapted for re-use. In working with the architect and equipment supplier, we determined the existing C-arm could also be re-used, again eliminating the need for additional structural work. Daily project reports by our superintendent kept the key parties informed, ensuring all moving parts were in synch, on time, and accounted for. The end result: predictability and a smoothly run project that exceeded our client’s expectations, greatly reduced the cost of construction and prevented lost revenues thanks to less equipment downtime. Hospitals run on information and data, as well as medical expertise. 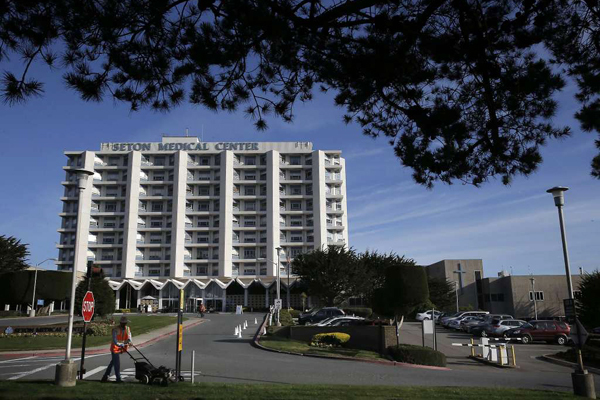 When UCSF Benioff Children's Hospital hired us to convert a stand-alone building, originally built as a Cath lab, to a campus-wide IT Service Center, we began with a careful investigation of existing conditions. During our investigation we discovered significant structural and mechanical modifications were needed. Our team worked directly with the project's architect and structural engineer to assist with design changes for new steel beam reinforcing in the building's crawl space to support the server room equipment. To save time, many of the sketches required for these changes were produced by our Director of Healthcare, a registered architect with long-term experience in the healthcare field. His sketches were stamped by the engineer, then submitted to and approved by OSHPD. Keeping this process in-house expedited the project and saved our client money. Working with the design team and hospital's IT experts, we also developed design sketches for a two-level, overhead cable tray system. The new system increased cabling capacity despite tight space constraints in the ceiling. Proactive communication and smart scheduling enabled the hospital to populate the server room with their equipment while new cabling was distributed throughout the campus and surrounding facilities. This project called for the addition of a fourth operating room within an operational outpatient surgery suite housing three existing operating rooms, as well as support areas for each. Scope of work included the remodel of an existing operating room, two induction rooms, an anesthesia work room and a sterile supply room. Work was originally scheduled to take place in five phases while the facility maintained operations. Our team's proactive problem solving and collaboration with the hospital and design team kept the project on track, avoiding potential pitfalls. Originally, there were five main project phases. However, as the project progressed it became apparent that each of these phases would require sub-phasing to accommodate shut downs of critical utilities. Through constant coordination with the management, design and surgical venter staff, we were able to complete each phase in a timely manner without disruption to the center. Once the project was underway, we discovered unforeseen structural and mechanical obstructions which conflicted with the proposed installation of the boom-support bracing and laminar-flow supply ducts. Sketches were developed by our team which showed how the new air distribution, lighting and medical booms would work in conjunction with the architect’s layout. These were submitted for approval and accepted. Once again, the steps we took saved our client time, prevented costly complications and kept the project on track. This OSHPD-inspected project was located in a fully occupied hospital with the trauma center located above the area of construction. We acted as the prime contractor while working with CPFC. Our scope of work included the complete demolition and contained off-haul of the existing build-out, new partitions to deck, upgraded fire-rated corridor door assemblies at three entrances. We provided glazing, millwork, new acoustical ceiling grid system, toilet accessories at three new ADA restrooms and showers, 200 ADA aluminum locker installation, ADA wood benches and pedestal supports, Nora Environcare floor covering (required heavy floor preparation), smoothing and leveling, corner guards, and full-body mirrors. We installed 14 nursing stations at Walnut Creek Medical Center. This project required demolition and contained off-haul, millwork, carpentry, drywall, taping, FRP protection, sealants and caulking, painting, new grid and ceiling tile, floor covering, plumbing and electrical. We also installed owner-supplied equipment. This sixteen-week OSHPD project required working within a fully-occupied training facility for Kaiser. Our scope of work included construction of all new walls, taping of existing perimeter walls and the new construction of a glass wall at the main entry. We installed hard-lid ceilings in the restrooms, suspended acoustical ceiling of varying heights, and four types of floor covering. 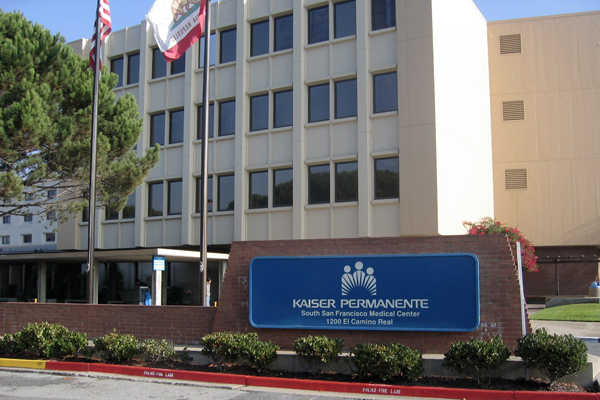 The ceiling height doors, frames and hardware were installed per Kaiser’s building standard. The building was fully-occupied, had level-3 infection dust control and required MSDS reports maintained daily. We replaced 12 reheat coils in operating rooms, exam rooms and connecting hallways while all facilities remained in operation within a hospital. This was an OSHPD-inspected project. We worked at odd night hours depending on surgery schedules. This involved coordination with hospital operations. X-Ray remodel consisting of removal of existing machine, upgrade of wall finishes and doors to meet new machine requirements, install new slab and structural steel and installation of new system. Maintained clean Level-4 infectious control environment during construction while maintaining facility operations. This expedited ten-week OSHPD project was located in an occupied hospital. We acted as the general contractor, maintained dust control for all trades, provided complete demolition of the existing space, and installed all new walls within the space, including new perimeter fire-rated demising walls .We added new sink stations in clean room millwork, stainless steel counters, new acoustical ceiling throughout and new fire rated doors at the exterior. Finishes included Kaiser standard Nora Environcase floor covering, painting, accessories and wall-coverings. Sterilizer remodel consisted of two phases of infection control within functioning sterilizer room, removal of old sterilizer and installation of new sterilizer. Maintained clean Level-4 infectious control environment during construction while maintaining facility operations.